Congratulations to Cesar Medina our winner of the $100 Visa Gift Card in March 2019! Congratulations to Arlan Arevelo on winning our Landmark Cinema Movie Night draw in February 2019! Congratulations to Rosy Prasad on winning our movie night out to Landmark Cinemas in November 2018! Congratulations to Heather Fowler on winning our movie night out to Landmark Cinemas in August 2018! Congratulations to Mulan Bradbury on winning our movie night out to Landmark Cinemas in July 2018! Congratulations to Jessica Nyarkoaa on winning our move night out to Landmark Cinemas in February 2018! Congratulations to Robert Beauchamp on winning our move night out to Landmark Cinemas in December 2017! Thank you to everyone that entered into our Father’s Day draw! Congratulations to Samuel Liao, we hope you enjoy your $100 Gift Card to The Keg. Congratulations to Adora Tajan on winning our Mother’s Day Gift Basket! Thank you to everyone who participated! Below is the gift basket for the lucky mom. Congratulations to Kyle McMahon for winning a $100 gift card to the Keg. 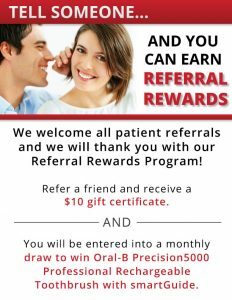 Guildford Family Dental is proud to offer a $10 gift card to anyone who refers a friend to us. We will also be drawing a new winner for an electric toothbrush to one person each month. 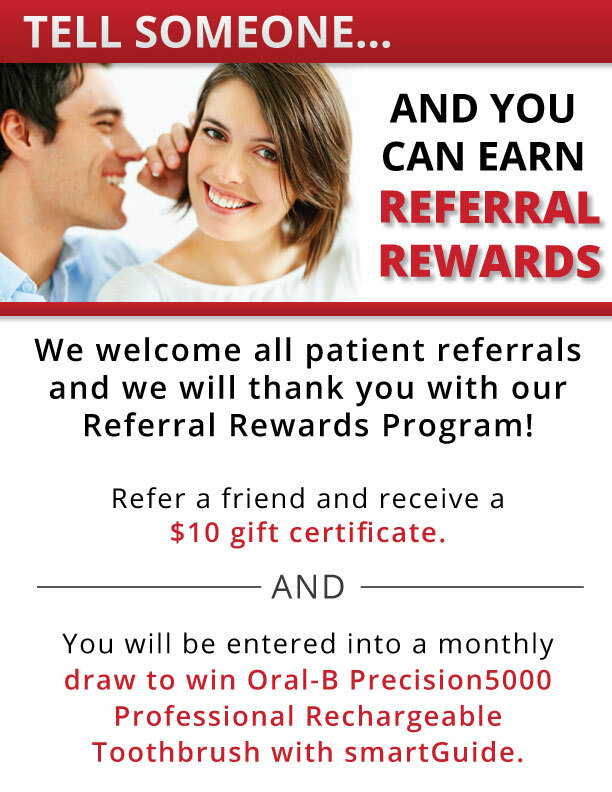 We want to thank you for being a part of our clinic, and for referring your friends to us! We appreciate you. Enjoy!